Roughly 11 percent of the District’s approximately 496,776 registered voters cast their ballots in the two-week early voting period. Hurried commuters streamed by Dale Kaufman last Friday morning, walking purposefully as she tried to get their attention outside a District library. 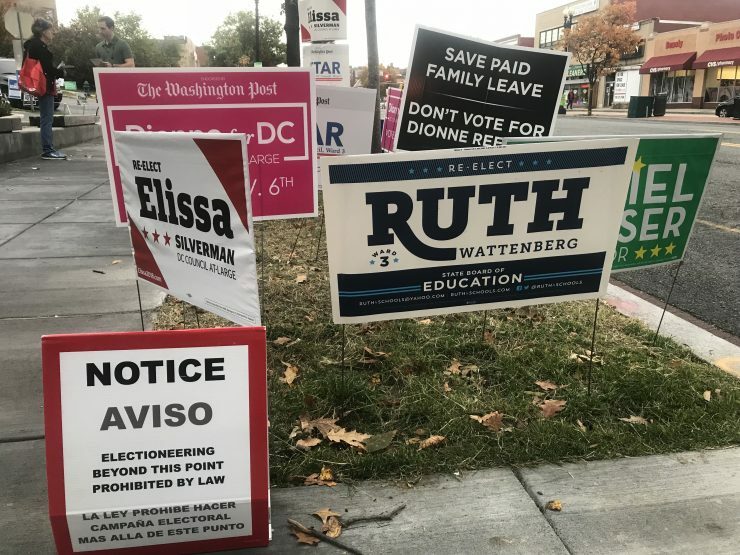 “Do you vote in D.C.?” she called out, waving a flyer supporting at-large council candidate Elissa Silverman. A few people grabbed the handouts, while many said they had already voted in the two-week early voting period that ran from Oct. 22 through Nov. 2. Roughly 52,510 of approximately 496,776 registered D.C. voters cast their ballots at one of 14 early voting centers across the city, D.C. Board of Elections data show. While that figure is only about 11 percent of registered voters, it’s almost double the 6 percent of registered voters — or 26,660 people — who voted early in the last midterm elections in 2014. But it’s significantly less than the 21 percent of registered voters who cast early ballots in 2016. The option to vote before Election Day eases the process for busy residents who otherwise may have trouble finding time to vote. Although some local employers voluntarily give their employees paid time off to vote, D.C. law does not mandate they do so. Residents who vote early can cast ballots at any voting location, not just the one in their precinct. They can also register when they arrive to vote by bringing documents that prove they live in the District. 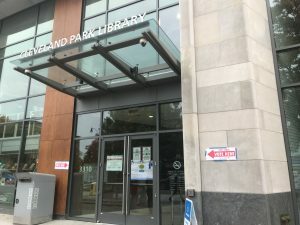 Kaufman, who wore a red Silverman campaign T-shirt last Friday, got to the Cleveland Park Neighborhood Library when polls opened at 8:30 a.m. She said she had also handed out flyers the previous week and noticed the voting station was not as busy as she had expected. Still, Kaufman said she was glad the District lets voters cast their ballots before Election Day on Tuesday. “It gives people the opportunity to vote on their time, especially people who can’t get off from work,” said Kaufman, 69. The option to vote early saved Hannah Bornstein, 31, from scrambling to vote on Election Day right before she leaves town for her job at a fitness brand. 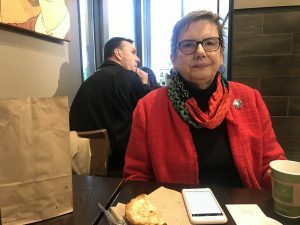 “I’m traveling on Wednesday, so Tuesday’s going to be crazy preparing for everything,” Bornstein, a resident of Woodley Park, said as she waited for an Uber driver after voting at the library. Bornstein doesn’t usually vote in midterm elections but was excited to cast her ballot for several Democratic women this year, she said. She was concerned the Trump administration was eroding the country’s political norms. Adams Morgan resident Lily Twomey stopped at the library on the way to her job at a bank in Bethesda, Maryland. She said she had recently graduated from college and had changed her voter registration address several times as she moved between cities for work. “If I come early and I run into any problems, I can fix it before Nov. 6,” said Twomey, 22. 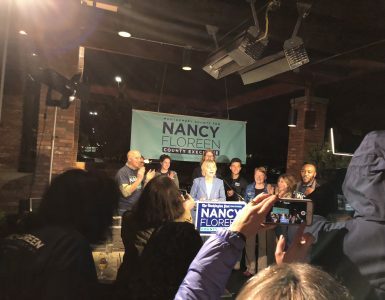 Casting her vote last Friday also helped her avoid potentially long lines Tuesday and a struggle to make it to the polls before work, Twomey said as she left the voting center. As Tom Daquao ate a sandwich near Metro Center on Wednesday, he said he has frequently voted early to avoid complicating his work schedule. He travels from his home in Ashburn, Virginia, to downtown D.C. most weekdays for his federal government job. Daquao, 40, said holding Election Day during the workweek is somewhat inconvenient. “It would be nice if it were on a weekend, just with the commute,” he said. 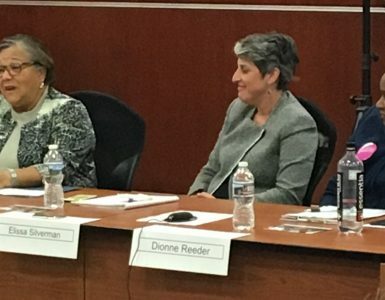 Virginia allows residents to cast in-person absentee ballots for several reasons, including having business outside their county or city of residence on Election Day. 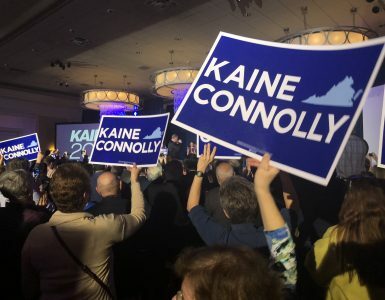 Roughly 158,078 Virginians cast in-person absentee ballots this year, according to Virginia Department of Elections data. Anne Headley, 76, said she voted early near her home in University Park, Maryland, to avoid long lines on Election Day. Headley, a retired career counselor, said she and her husband still had difficulty finding parking at the busy voting center. Maryland’s early voting period ran from Oct. 25 through Nov. 1. Residents could vote at any polling place in their county. Roughly 102,604 people voted early in Prince George’s County, which includes University Park, according to state data. Headley said she votes in every election and has felt lucky that some of her past employers, including community colleges and the National Security Agency, have let their employees off work early on Election Day to vote. Although she chose to vote early this year, Headley said there’s a downside to avoiding the polls on Election Day. 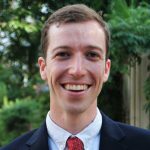 I’m a Washington, D.C.-based reporter studying investigative journalism as a graduate student at American University. I previously worked at The Star-Ledger and NJ.com in New Jersey, where I covered municipal mayhem, community issues, education and crime in two counties with a combined 1.4 million residents. I told these stories with words, videos, photos and graphics. I also covered white-collar crime at Global Investigations Review while living in Washington and cataloging the district’s best coffee shops in my spare time. Independent Dionne Reeder fails to unseat Elissa Silverman in the District’s most competitive midterm race.